Lots of swimmers follow their siblings into the pool at a young age. It was a similar story for NCAA champion David Nolan, who joined his first team around age 7. That reputation, coupled with increased academic rigor, made Nolan’s freshman year at Stanford “tricky.” The academic load required for his biomechanical engineering major was “way harder than high school. 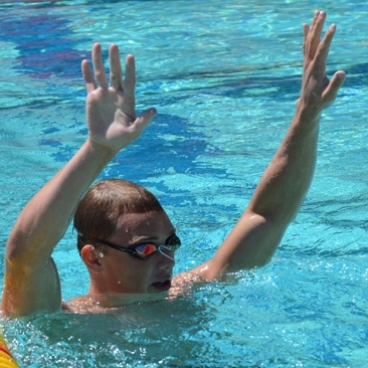 It was a rough transition.” Yet he still managed to earn second-place finishes in both backstrokes and third in the 200 IM, his pet event. During the back half of his collegiate career, “I showed my true colors” he says. Four years after clocking that ridiculous 1:41.39 in the 200 IM, he dropped jaws again, becoming the first swimmer to break the 1:40 barrier with a 1:39.38. 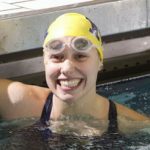 “That race was so much fun because I finally had a lot of confidence in my swimming. I changed my training this year to do things I knew would help me. 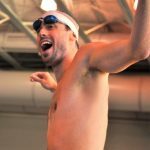 “One such change: “I activated my glutes during backstroke, and that made all the difference,” he told reporters at NCAAs. That breakthrough came courtesy of golf icon and fellow Stanford Cardinal, Tiger Woods.